This gallery includes the way of life and dwellings that Native Americans of the southwestern Native Americans used as their shelter. ​I took this photo of the Mesa Verde Balcony House on a tour of the cliff dwellings at the Mesa Verde National Park, Colorado. This particular archeological site illustrates how room and passageway construction evolved through time. 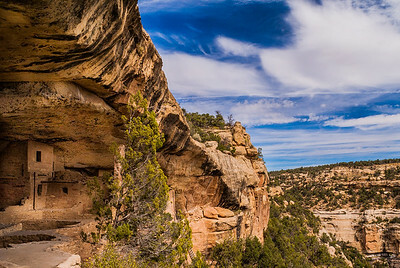 Today, the tunnel, passageways, and modern 32-foot entrance ladder are what make Balcony House the most adventurous cliff dwelling tour in the park. 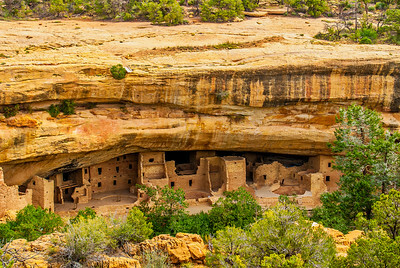 ​Balcony House, Mesa Verde National Park, CO - The Mesa Verde Balcony House, a “medium size” cliff dwelling, has 40 rooms. This particular archeological site illustrates how room and passageway construction evolved through time. 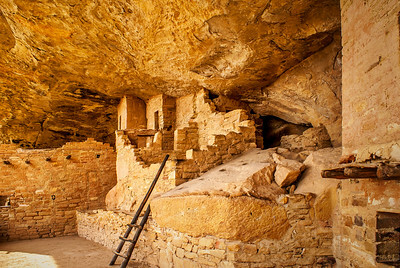 Today, the tunnel, passageways, and modern 32-foot entrance ladder are what make Balcony House the most adventurous cliff dwelling tour in the park. 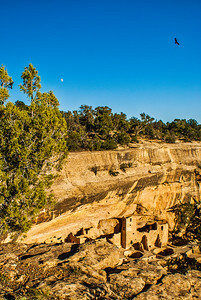 I captured this photo of Cliff Palace in Verde Mesa National Park Colorado looking down on it from a viewing area. The Cliff Palace is a substantial dwelling which may have had particular significance to the original occupants. It is thought that Cliff Palace was a social, administrative site with high ceremonial usage. 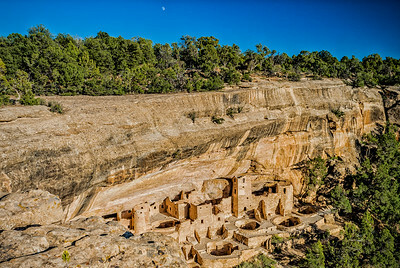 ​I captured this photo of Cliff Palace in Verde Mesa National Park Colorado looking down on it from a viewing area. The Cliff Palace is a substantial dwelling which may have had particular significance to the original occupants. It is thought that Cliff Palace was a social, administrative site with high ceremonial usage. ​Taos Pueblo is the only living Native American community designated both a World Heritage Site by UNESCO and a National Historic Landmark. 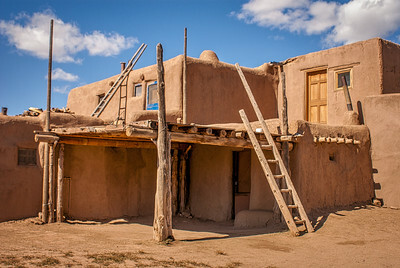 The multi-storied adobe buildings have been continuously inhabited for over 1000 years. 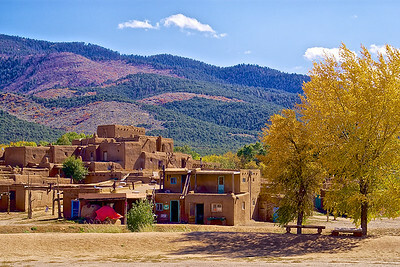 You are welcomed by the Native American people to visit their village when you travel to northern New Mexico. 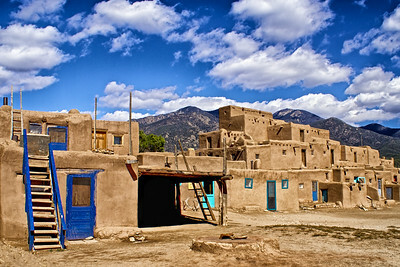 Taos Pueblo is the only living Native American community designated both a World Heritage Site by UNESCO and a National Historic Landmark. 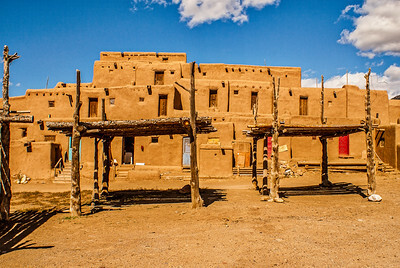 The multi-storied adobe buildings have been continuously inhabited for over 1000 years. You are welcomed by the Native American people to visit their village when you travel to northern New ​Mexico.